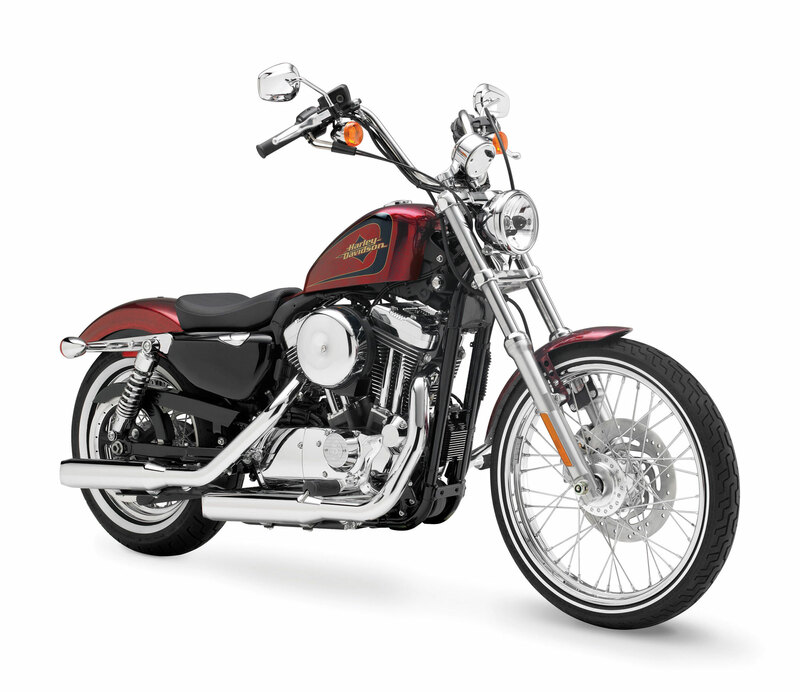 The Harley-Davidson® Seventy-Two motorcycle is a metal flake dream machine, a Sportster® motorcycle on a trip back to the days when the cool kids rode Sting-Ray bikes and the big boys parked choppers in a row on the curb. 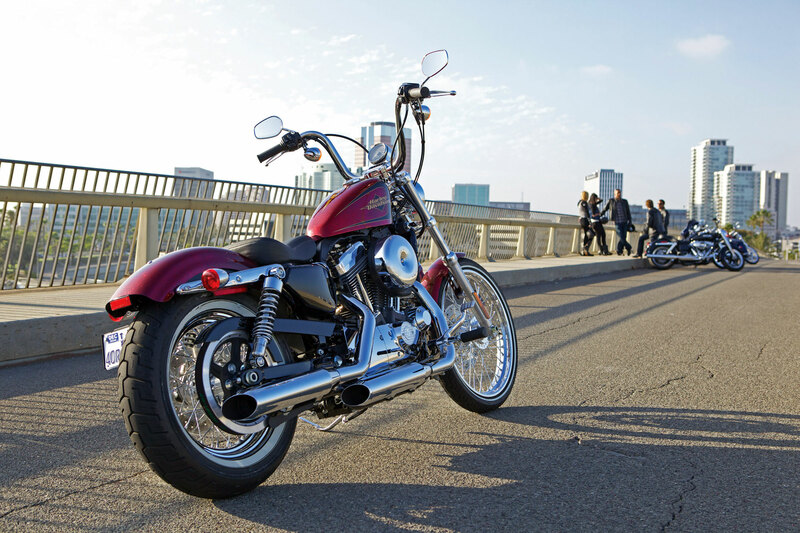 Those motorcycles were long and lean; candy-apple colour and gleaming chrome shimmering in hazy summer sunlight. 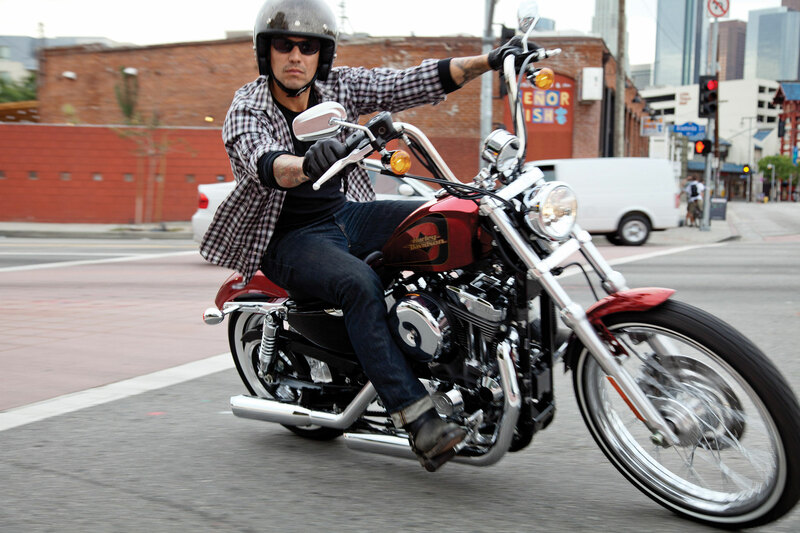 From its Hard Candy Big Red Flake paint and ape bars to its narrow whitewall tires, the Seventy-Two model is a respectful nod to that era, and to the influence of the custom culture that still percolates today along Whittier Boulevard, the legendary cruising street in East Los Angeles, also known as Route 72. A new generation of custom builder is tapping into that era and making a fresh statement, not just in California but in garages across the country, even around the world. Metal flake, an iconic design element of the 70s, appeared in everything from dune buggy gel coat to vinyl diner upholstery, and on custom motorcycles. 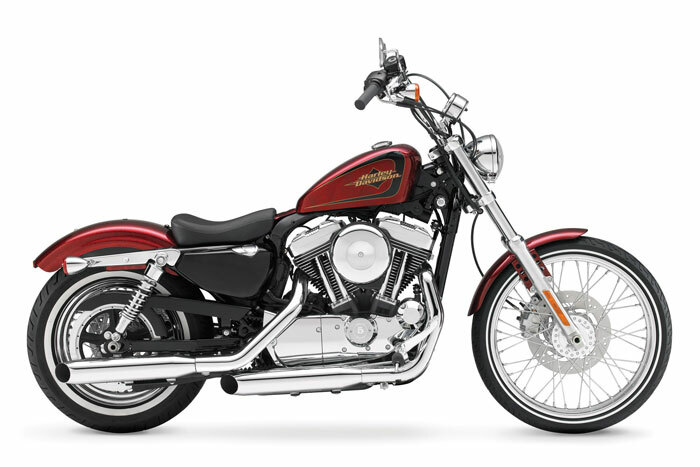 Harley-Davidson Motor Company brings the sparkle back on the Seventy-Two motorcycle with Hard Candy Big Red Flake paint. This new finish is created by applying a black base coat, followed by a polyurethane system that carries hexagon-shaped flakes that are more than seven times the diameter of the metal flake that is used in typical production paint. Each flake is coated with a thin aluminium film and then tinted red. Four applications of clear coat, combined with hand-sanding, create a smooth finish over the flakes. A solo seat shows off more of the paint exposed on the Seventy-Two motorcycle. The powertrain is finished in grey powdercoat with chrome covers and a new round air cleaner with a dished cover. 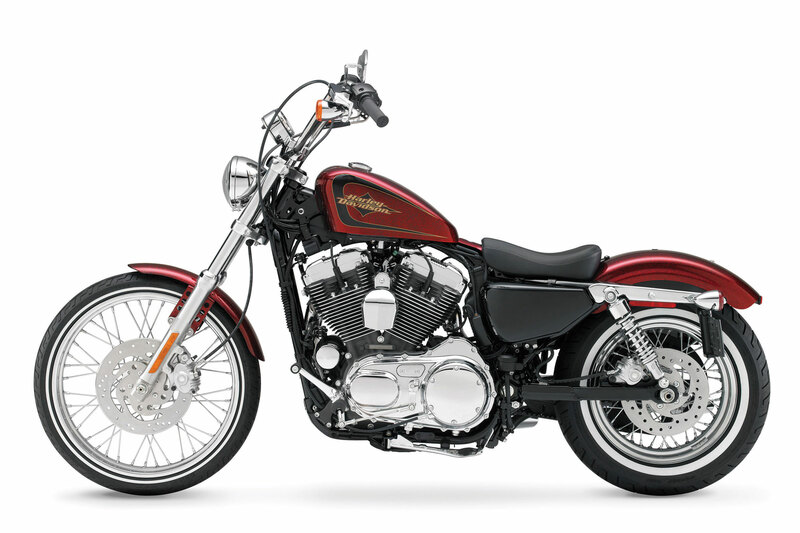 A classic Sportster® 2.2-gallon “peanut” fuel tank adds a final period touch to the motorcycle. 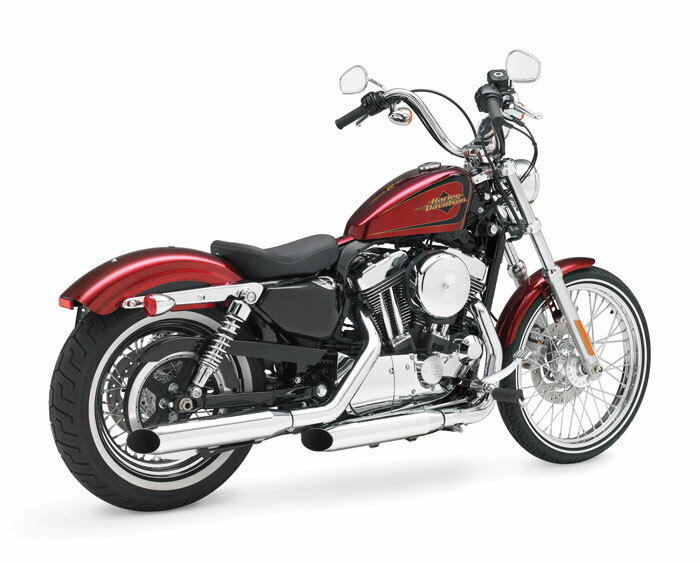 Based on the Harley-Davidson Sportster platform, the Seventy-Two™ introduces Hard Candy Big Red Flake, a sparkling, metal flake color option applied to the fuel tank and fenders. A solo seat and side-mount license plate bracket leave much of the chopped rear fender – and more of that paint – exposed on the Seventy-Two. The Evolution® 1200 cc V-Twin powertrain is finished in Gray powdercoat with chrome covers and a new round air cleaner with a dished cover. 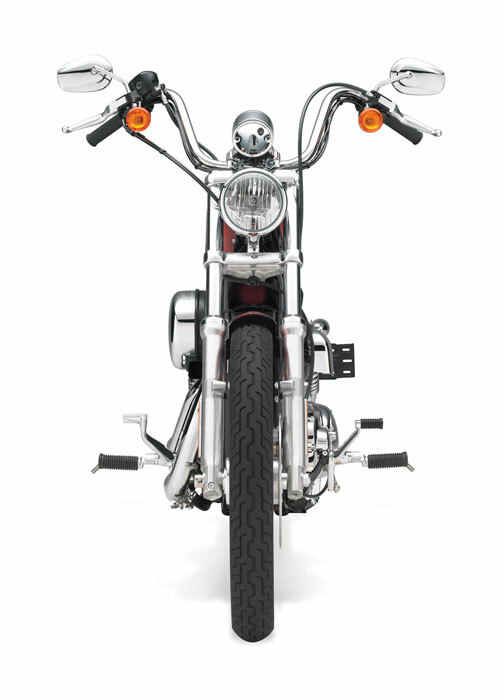 A classic Sportster 2.1-gallon fuel tank, narrow white wall tires, Chrome Laced wheels, and high mini-ape handlebar complete a look that nods to chopper custom motorcycles of the 1970s. 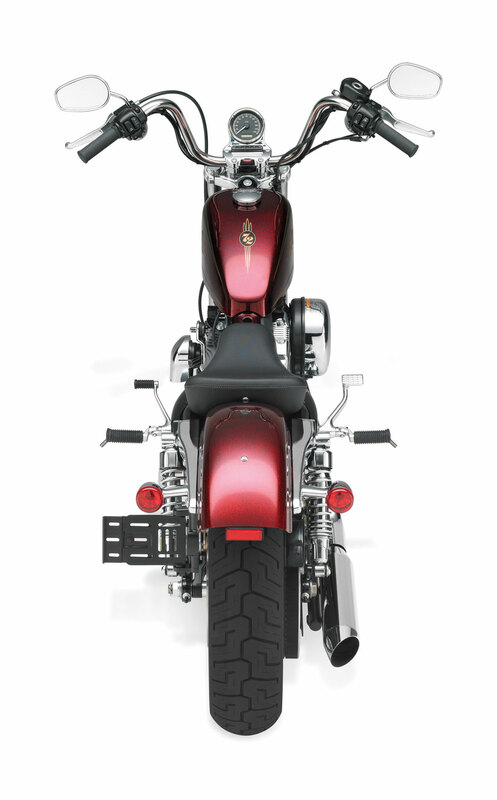 high mini-ape handlebar that complete a look that nods to chopper custom motorcycles of the 1970s and to current trends in garage-built custom motorcycles. This radical, eye-catching tank paint recalls the radical style of ’70s choppers and shouts one-of-a-kind custom—but coming straight from Harley-Davidson, you know it’s nothing but pure premium-quality craftsmanship. 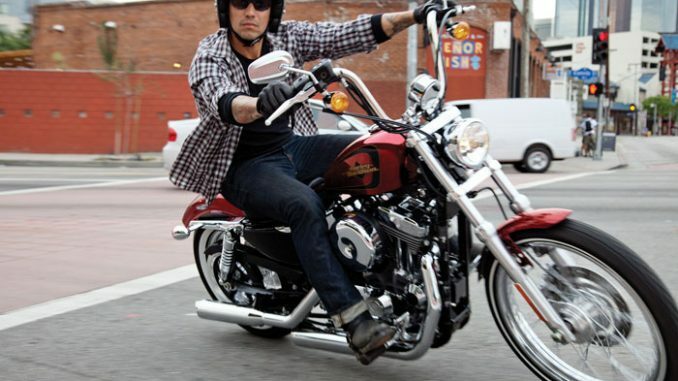 The chopped rear fender with side-mounted plate completes the Seventy-Two model’s long, low chopper look and keeps things classically clean and raw. The chrome bullet taillights combine this old school retro-styling with new school technology, packing stop beams, turn signals and running lights into each lamp. Transmission 5-speed Gear Ratios (overall): U.S.
1Measurement reflects 180 lb. (81.7 kg) operator weight. 2Recommended 91 octane or higher fuel (R+M)/2. 6Standard and optional wheels may vary by country and region. 1Measurement reflects 81.7 kg operator weight. 4Standard and optional wheels may vary by country and region. 5Availability of colours may vary from dealer to dealer and is subject to change without further notice.